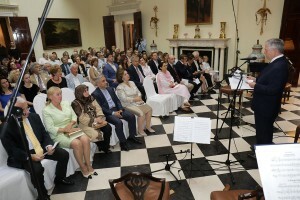 The Royal Strings of St. George Orchestra, who are under the auspices of His Royal Highness Prince Philip, marked their 20th anniversary with a concert at the White Palace in Dedinje. 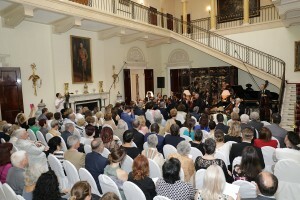 Lead by concert maestro Sreten Krstic and Ivan Simeunovic, accompanied by solists Bogdan Dugalic, Vasa Stajcic and Kristina Parezanovic, the Orchestra performed an unforgettable music experience for the guests, playing pieces of Bach, Mozart, Vera Milankovic, Bela Bartok, Dusan Radic and Jovana Stefanovic. 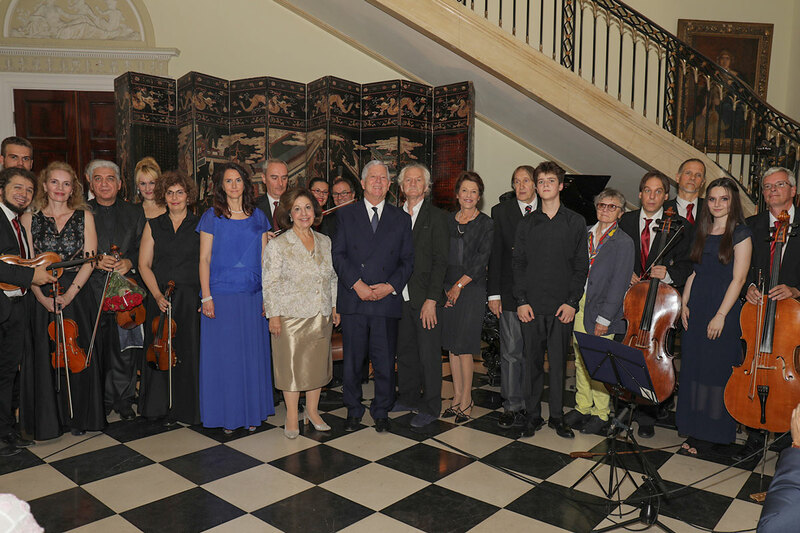 “Members of the Royal Family have always supported extraordinary artists and I am very proud that our son Philip is the patron of the Royal Strings of St. George Orchestra. 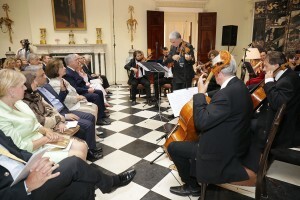 Music enriches our lives, arouses our senses and gives grace to our everyday life. I wish the Orchestra to last long and keep reminding us and nurture the works of great composers in order to pass them on to new generations“, said Crown Prince Alexander. The Royal Strings of St. George is a chamber orchestra with around 11 members and concert maestro Sreten Krstic. 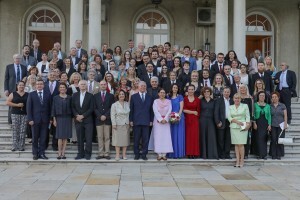 The Orchestra works under this name since 1998, when it received a title from the Serbian Royal Family as a prominent orchestra in Serbia, and since then it has its’ coat of arms. The majority of concerts, outside Serbia, the Orchestra has held in Germany – more than 50, and then again in Austria, Italy, Norway, Bulgaria, Slovenia, Hungary, Macedonia, Croatia, Montenegro. 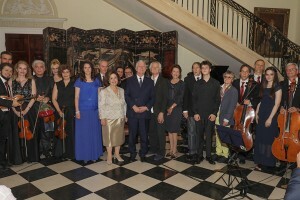 The Orchestra has 23 CDs recorded for NATAN Concert agency. The Concert Maestro Sreten Krstic is a violinist of great knowledge and artistic expression who represents Munich Philharmonic for 35 years as a lead Concert maestro (among the three existing). The huge experience in working with world famous conductors helped him to stand out as a soloist, and to develop his musical expression and talent in chamber music.